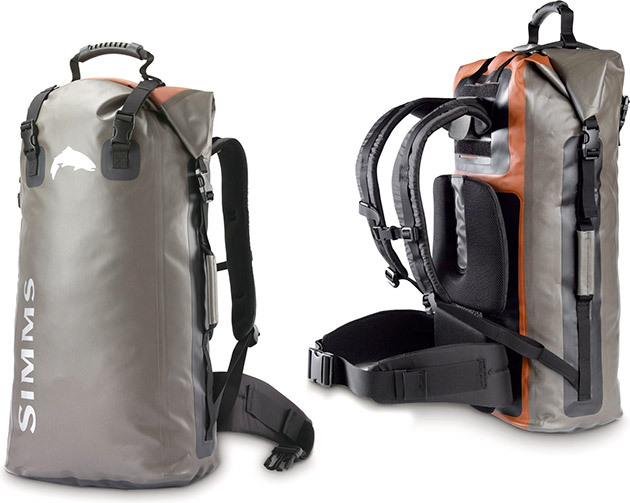 For reliable water-tight storage, turn to the Dry Creek Guide Backpack by Simms ($190). It keeps your adventure essentials dry with its 420-denier, double-coated polyurethane shell, 210-denier lining and water-tight roll-top with side buckle closure. It also features a large main compartment, an internal security pocket for your gadgets, two side handles, fully adjustable aeromesh padded shoulder straps and a removable suspension system.